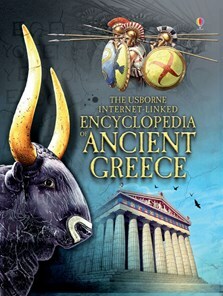 A fascinating guide to Ancient Greek civilisation from the Minoans to Alexander's empire. Includes information on the key figures, battles and geography of the Ancient Greek empire, as well gods and goddesses, the Olympic games and the day-to-day life of its citizens. Features stunning photographs and illustrations, a comprehensive factfinder section with a time chart, who’s who and glossary, making it perfect for reference use. Internet links to websites with virtual tours, reconstructions and more information.